The 30 Days of Testing Challenge is back! 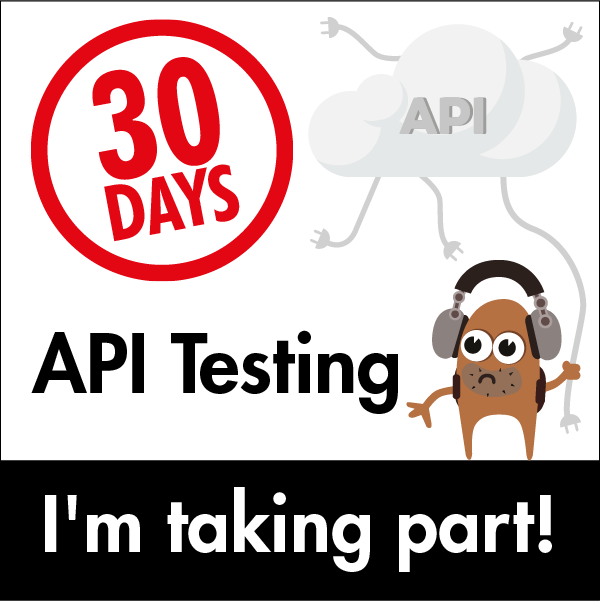 The theme this time is API Testing and this challenge has been kindly sponsored by API Fortress - be sure to check out the free trial of their scalable and collaborative API testing suite for Testers and Developers. These challenges are a great way to learn on your own, as a team effort or join in with the wonderful Ministry of Testing community online. Below is a list of 30 challenges and a bonus challenge, one for each day of the month. Download the PDF below. Save it somewhere. Print it out. Stick it on your wall. Let’s do this! The goal is to tick off as many of the challenges as you can. You can do this in your own timeframe, or you can join us in our joint community effort throughout the month of November. We will be encouraging the community to share their progress on this challenge from the 1st of November 2018. You may have an image to share, a blog post, a video, status update, whatever it is! Come and participate! Get others involved by downloading an "I'm taking part" badge and sharing it on your profiles. Pro Members Get More Want in? Sign Up. 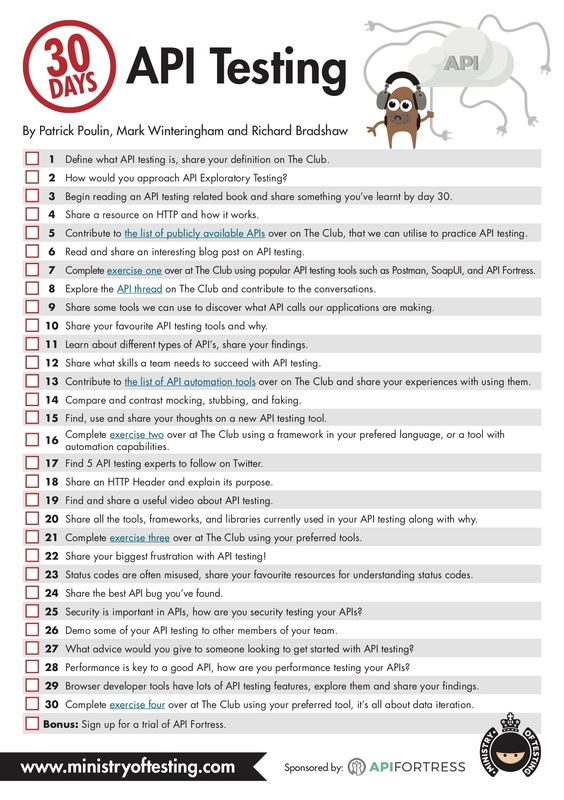 API Fortress is an API testing suite as a platform. Create a free trial!